At first the space race was a two country affair: the USA and the USSR. And then China joined the party in 2003. During that time, 33 different countries could claim to having their first astronaut. And then Denmark finally caught up in 2015 – in equal 39th place. 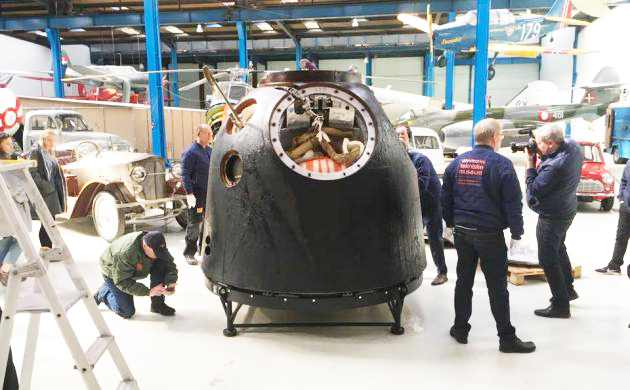 The Soyuz TMA-18M, the capsule in which Denmark’s first astronaut Andreas Mogensen travelled into space, has been acquired by the Danish Museum of Science & Technology and will be unveiled on May 8. The culture minister, Mette Boch, hailed the “huge scoop … as clear evidence that Denmark is a space nation”. On the back of recent news, it sounds like a reasonable conclusion. On April 2, the DTU Space-led ASIM project was launched from Cape Canaveral in Florida. Mounted on the ISS, the monitor will take advanced x-ray images of lightning and storms in space. DTU Space will also play an important role in ensuring China has a new powerful telescope, which is capable of detecting x-rays from black holes and neutron stars, by 2025. It will make one of the telescope’s four components: the Wide Field Monitor instrument. And finally, when the Extremely Large Telescope (ELT), the biggest in history, is built on a Chilean mountain, it has been confirmed it will have a Danish design server system built by Force Technology.